Over the last several years municipalities and water purveyors have been evolving their standards for backflow prevention valves on commercial facilities. 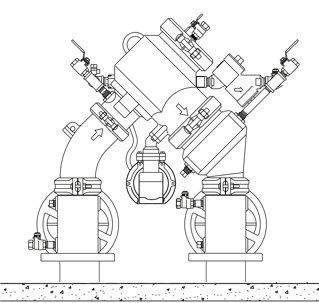 The evolving guidelines are increasingly conservative - assigning higher risk profiles to applications and requiring reduced pressure zone (RPZ) type backflow prevention assemblies (BPA) for more applications. This is the first consolidated reference we’re aware of regarding these Trends in Backflow Preventer Installation. This guide will explore different perspectives and considerations which are important to public water systems, design engineers, property owners, and a surprising number of other professionals. This guide is designed for anybody who’s specifying, buying, testing or relying on a commercial supply backflow prevention valve. It takes the reader through the changes, background rationale and factors, and the implications to their existing and future projects.